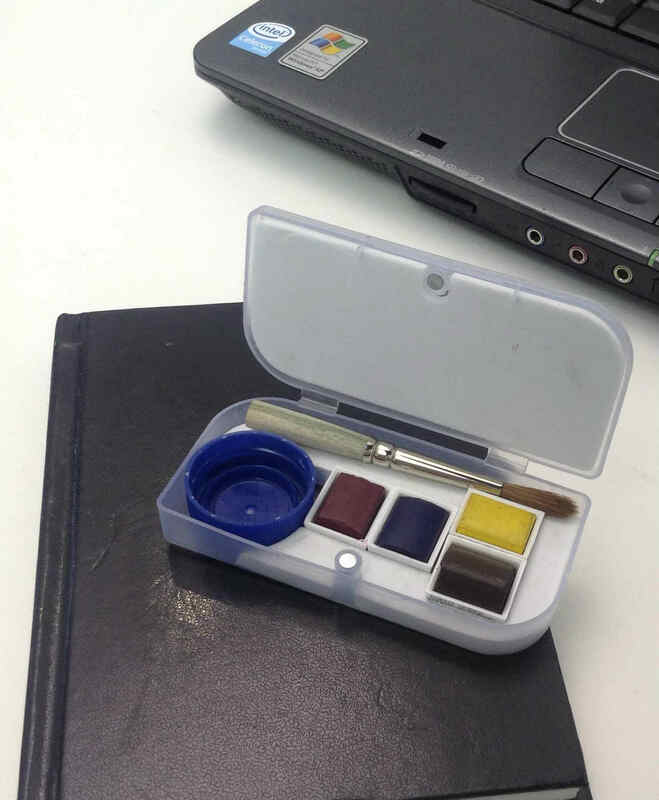 Having read the ‘Mostly drawing’ blog I had to see if I could make my own travelling palette using found objects. An old memory stick case, bottle top and shortened paint brush later and hey presto. I’m used to using three colours and my favorites are: Alizarin Crimson, Phthalo Blue &Transparent Yellow, but I had to use the spare pans hanging around. I’ll have to try it out now. Looking forward to seeing what you paint with your minimal Eco friendly paint transportation system!